"Arousal is a physiological and psychological state of being awake or reactive to stimuli. It involves the activation of the reticular activating system in the brain stem, the autonomic nervous system and the endocrine system, leading to increased heart rate and blood pressure and a condition of sensory alertness, mobility and readiness to respond." While this description is used to depict arousal in humans, the same dynamics may take place in Rover. Indeed, if you watch his body when he is aroused, you'll likely noticed how it is tense and ready to spring into action. The arousal may be triggered by different types of events. Some dogs may get very aroused at the sight of other dogs on walks, others may be get aroused when they hear a car parking in front of their property, some other more may get too aroused during play time with the owners. In any case, arousal levels are so high that the dog is unable to contain himself and this interferes with his ability to think clearly and cognitively function. Dog trainer Trish King claims: "Think of arousal as a red cloud of energy that interferes with judgment and causes poor behavior." Indeed, it is during being highly aroused that your dog may be barking at a passerbyer one minute and the next he'll be re--directing and fighting with your other dog, or in another example, your dog may be playing and tugging at your clothes with you one second, and then the next, he nips you on the arm, harder than usual since his arousal is so high he's no longer capable of gauging the pressure of his jaw as he normally does during calmer play. Arousal causes a surplus of energy that must go somewhere. This excess arousal is what causes the unwanted behaviors depicted above. Arousal, left untreated, has the potential to become trigger frustration which may lead to destructive behavior. You therefore end up with the dog who is aroused at the sight of another dog and starts chewing the leash. And in severe cases, arousal may become aggression, you may therefore end up with a dog who gets so excited at the sight of another dog that he bites the owner. 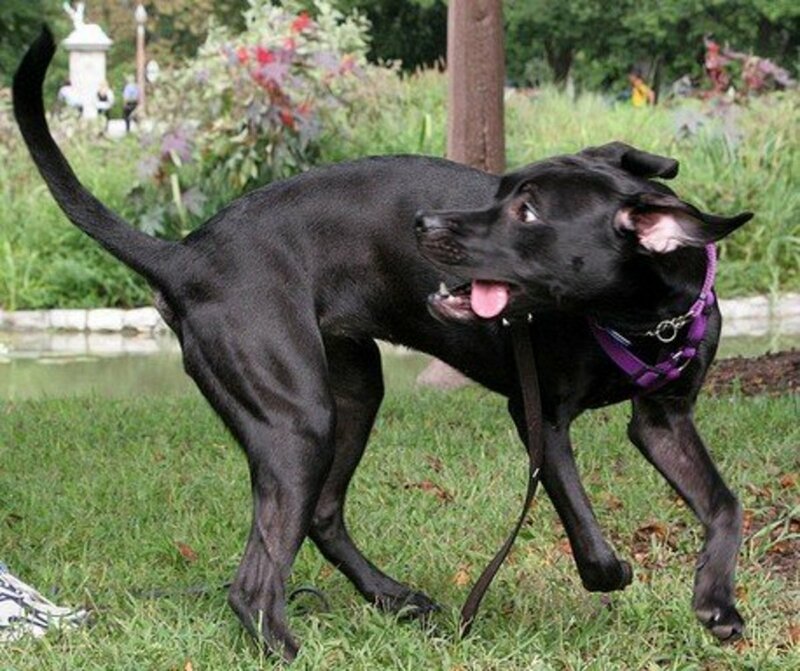 If you own a dog who is prone to getting too excited, you want to take steps to lower arousal. Many dog are not aware of other ways to behave, it's our job to be there for them so we can guide them and teach them how to better control their emotions. Many times dog owners who own a highly aroused dog aren't aware of the fact that they have a problem. Fact is, they often assume it is normal for their dog to be that way especially if it's a young dog or a dog that belongs to a high energy breed. They often don't realize how mellow and calm their dog could potentially be if only they would invest some time in getting the dog trained to better control his impulses.What are common signs of a dog with high arousal levels? Or better, what are the signs a dog is aroused? The following are some indicators. 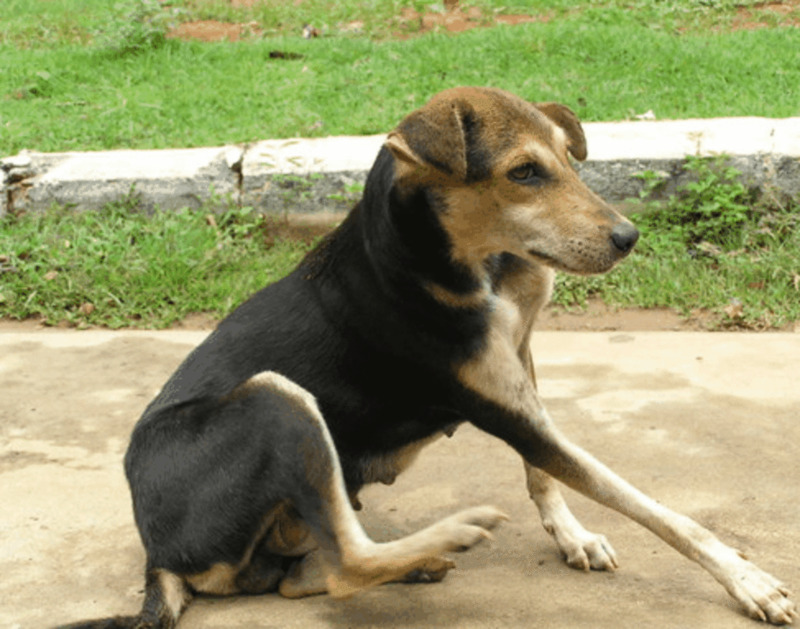 In order to change dog behavior, in many instances, we must somewhat change our behavior as well, it that's what's causing the dog to become aroused in the first place. The following tips may take some time and effort, but they are very worth it, because the pay back is considerable once you realize that your dog has the potential to be calm. These are certain medical conditions that may trigger anxiety, stress, which may lead to higher arousal levels. Always best to see a vet to rule out medical problems. A nutritionist may also be helpful since certain food additives and colorants have been associated with hyper active behaviors in dogs which may lead to over arousal. We have put dogs who have been bred for centuries to perform jobs such as guarding, herding and hunting into our homes and we expect them to behave and exhibit self control when they receive little exercise and mental stimulation. 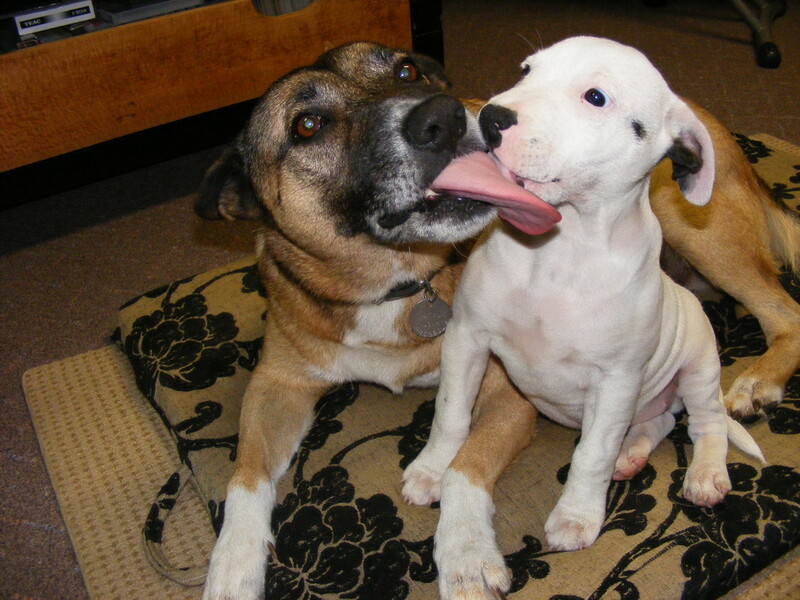 According to Dee Ganley, dogs that are continually aroused can have higher cortisol levels. The combination of lack of exercise and mental stimulation and being placed in over stimulating environments, spell disaster for these dogs. An exercised body and a stimulated mind can help lower arousal levels so there is room for learning calm behaviors. As in everything in life, too much of a good thing can turn out being deleterious. This applies to dog owners who chronically expose their dogs to overexciting situations to a point where the dog's high arousal levels become the daily norm. Too many days in a row playing Frisbee, too many visits to the dog park or too many days at doggy day care will create a dog who is constantly overly excited. It's best to cut down the amount of exposure to these activities and replace them with other forms of physical exercise, suggests dog trainer Sara Reusche in her article "Too Much of a Good Thing: Overexcitement in Exercise" There are many alternative activities where your dog can be better under control. You cannot work on high arousal levels until you realize exactly what stimuli or situations trigger the arousal in the first place. Identify when your dog tends to get aroused the most. Is it when you come home from work? When you grab the leash? When he sees a person or dog walk by the fence? When you prepare his meal? When you play with him? Jolt these down so you know what circumstances you need to work on. If it happens in several circumstances, you will have more work to do to encourage self-control. Desensitization is a powerful behavior modification technique that can help your dog learn that he can lower those arousal levels and be better under threshold. In desensitization, you are presenting the triggers which cause arousal in a less intense way. You will need to do some thinking on how to make stimuli and situations less intense. For instance, if your dog get aroused at the sight of people walking by the yard, keep your dog at a distance from the fence where he acknowledges the people, but without going into a frenzy. If your dog gets highly aroused during play, initially engage in play that is calmer and doesn't get him worked up too much. If your dog gets excited by the leash, repeatedly pick up the leash and sit down. You want to break the connection between leash and walk so his arousal levels can lower. If your dog gets too excited when you come home, act as low key as possible so you are less exciting. Once you desensitize your dog to certain stimuli or situations you open up the opportunity to allow your dog to cognitively function. This is the perfect time to teach your dog that calm behaviors gain rewards and aroused behaviors make the reward go away. For instance, if your dog jumps on you and acts pushy when you prepare meals, stop moving when your dog is pushy and continue food preparation when he is calm. Ask for a sit before you put the bowl down. If he jumps as you are putting it down, raise it up and don't put it down until he is calmer. If your dog is over the top aroused when you come home, act calm and teach him that calm behavior makes you come inside and rowdy behavior have you step out the door again. Ask him a sit before you pet him, but if petting him gets him too aroused, ignore him for the first minutes you come home. Alternatively, you can try Leslie McDevitt's method which she calls "the reorienting exercise." If your dog gets too aroused at the sight of people walking by the fence, keep him at distance. Feed him treats when he sees a person so you can change his emotions, a powerful process known as counter-conditioning. Afterward, you can ask him to sit when he sees people and you can feed him treats to reward the calmer behavior. As in training, in behavior modification you may at some point want to raise criteria. Be warned though that if you are too fast in the process, a set-back can backfire all the work done. When this happens, you will need to take a few steps back in the process. In training a dog to sit, we usually start training with the dog in a quiet area with little distractions. After ward, we start asking for a sit in a busier room, then in the yard and then on walks. With behavior modification, the same steps need done, but in this case, we will be increasing the intensity of the situation or trigger. So if your dog did fine at distance from the fence without barking at people passing by, you will now need to get a bit closer to the fence. If your dog was dog was too aroused when you came home from work but now is sitting nicely when you are entering calmly, you may now want to add a bit of excitement or try with some guests. If your dog gets too excited during play, but now responds well to calmer play, you may want to try to add more excitement. An interesting method is Dee' Ganley's Chill Out Game. Dogs get very good at what they do by repeating behaviors. This applies to both good behaviors and bad behaviors. If you are training your dog to sit, the more you ask for it and reward it, the more your dog will sit. If your dog barks at people, the more he does it and gains a reward from it (the people moving away, the increase in distance) the more he will bark at people. You can desensitize and teach calm to your dog as much as you want, but if you allow your dog to still rehearse these behaviors when you are not around, you will never attain good results. This means that if your dog has learned to sit and get a treat when seeing people at a distance from the fence, all that progress will be gone if when you leave the house you keep him outside and he barks at people for the rest of the day. If your dog gets excited at the sight of the leash and now he is calmly sitting when you put it on, you will get nowhere if your other family members put the leash on when he is excited. If your dog has learned to stay calm when you prepare his meal, that one day you are in a rush and feed him when he is jumping, your dog will go back to square one. It takes time to teach new behaviors, but the results can go down the drain in seconds if we do not keep on top of it. Consistency, consistency and consistency is the solution. In cases where intense arousal levels are triggered by underlying anxiety and stress, calming aids may be helpful in decreasing emotional arousal.The Thundershirt, Anxiety Wrap or the Calming Cap may be helpful aids. Some of these work by the application of acupressure. Other aids include DAP diffusers, relaxing CD such as Through a Dog's Ear or calming over the counter supplements such as Composure. In severe cases, a veterinarian may need to prescribe medications that calm down the dog enough so to allow a starting point for behavior modification. If a dog is constantly exposed to stimuli, stress hormones hang around for a while and the dog may benefit from what is known as a cortisol vacation. Lowering arousal isn't very easy. It takes loads of consistency and you must be able to read the most subtle signs that your dog is starting to get aroused so you can intervene before it's too late. For best results, you should employ the help of dog trainer or behavior consultant who specializes in force- free methods. The goal should be to raise the dog's response threshold, change underlying emotions and train alternate behaviors. This is very important. Trainers who employ coercive methods will only focus on flooding the dog with stimuli so they can suppress the arousal through punishment methods. This leads to stress and doesn't address the underlying needs of the dog nor does it change the emotions. The lack of replacement behaviors will create a vacuum which may cause the dog to revert to other undesirable behaviors triggered from anxiety and stress. 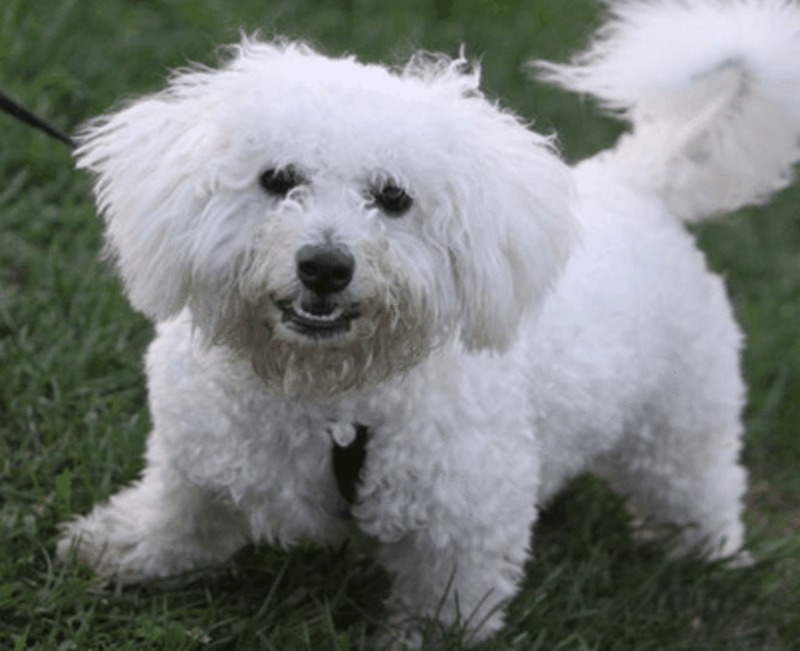 What's dog foraging behavior? and what causes dogs to want to forage all day? Learn more about natural dog foraging behaviors and how to help your dog feel more mentally stimulated. Do you own a restless Labrador Retriever? You may be wondering why some Labs are so restless and what to do about it. Learn why your Lab is so restless and effective strategies for calming him down. 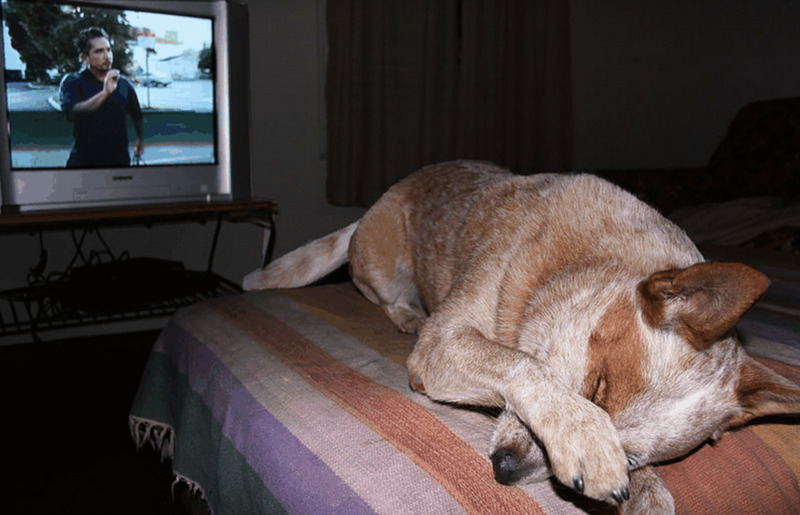 Does your dog develop frustration when he doesn't get what he wants? Does he bark, whine and throw a tantrum when he doesn't have it his way? Learn how to build up your dog's frustration tolerance. Why do dogs develop barrier frustration? What makes your dog angry when he is on leash and fine when he is off? Learn how your dog can develop some coping skills and why seeing a professional is the best option. That's exactly what is going on with my aunt's dog. I visit them once or twice a week. No one in the family pays much attention to the dog, or even feed the dog properly. So I bring food and I play with her, but everytime the dog sees me, she gets too excited, she wants to hold me in place, and when I'm about to leave, she tries to bite me. Reading the article, now I understand that I have to change my posture and give her time to adjust to playtime (not just jump to playtime). I read your information. I have a Siberian pup. Since I got him at 11 weeks he had always had issues with other dogs. Some he liked and others he didn’t. He was attacked at a dog training class since the trainer took his leash from me to introduce him to this dog who was way out of control. Now he really has problems. 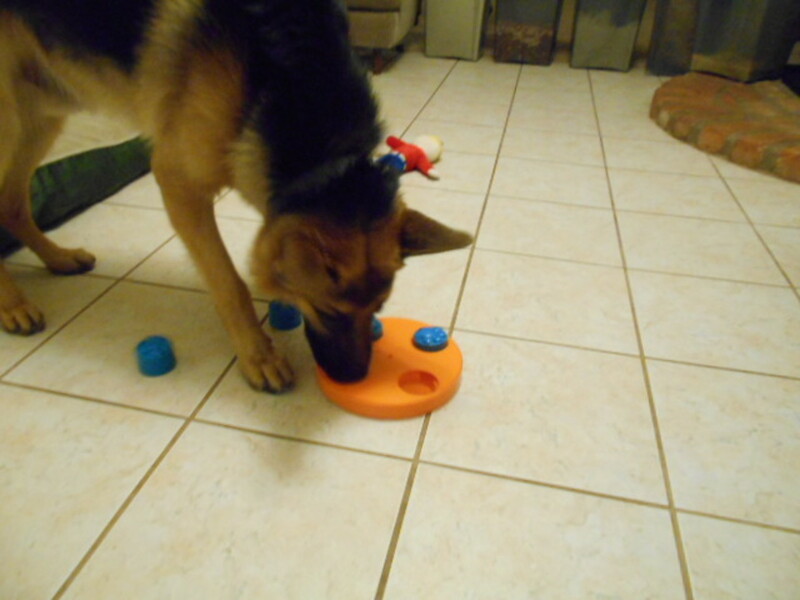 I have been working with a behaviorist and a trainer with his barrier reactive issues. He gets frustrated very easily with longe rope training and will come and jump me from behind biting my coat and leaving bruises. It’s so strange because he is such a calm loving pup so it is so strange to see his behavior in this way. I always look for advice and I will be talking to my vet about his nutrition to see if that could be setting him off since I read your article. I am willing to try anything. I will not give up on him as I know he is a great dog that just needs a lot of direction. Thanks for the idea about nutrition. I will definitely look into that. Hi there! My Rotts once wanted to bark and lunge when they saw the mailman, but then we changed their emotions to being extra happy when seeing the truck come by. It worked like a charm! Very nice hub. My dogs are active, but I think it is more of a protective instinct. Still, your tips will be useful in controlling some of their barking tendencies. Mine gets caroused by noises outside the window. Will bear these in mind! Great hub! 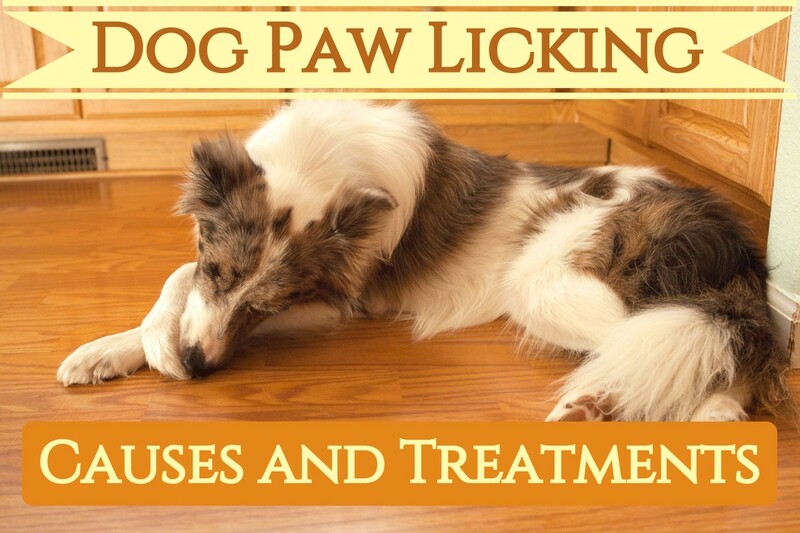 Dogs behaviors can be confusing at times and you certainly know more about these lovely pets.